The 24th Annual California International Marathon ran through Sacramento today. 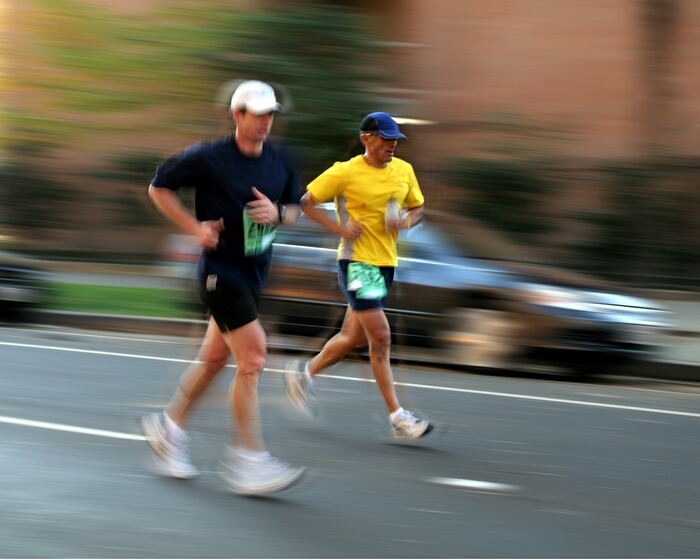 Over 5,000 runners participated in the full marathon, which is ranked in the top 5 for Boston-Marathon-qualifiers. The marathon started in Folsom and ends near the capitol building in downtown. These guys were running past the 25 mile post; they looked like they were just warming up. Watching all the runners made me hungry, so I went home and made myself a Marathon Waffle.